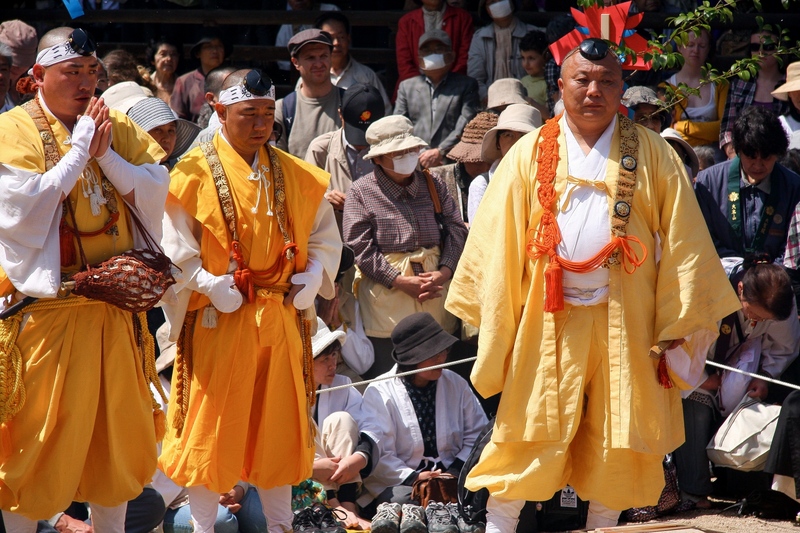 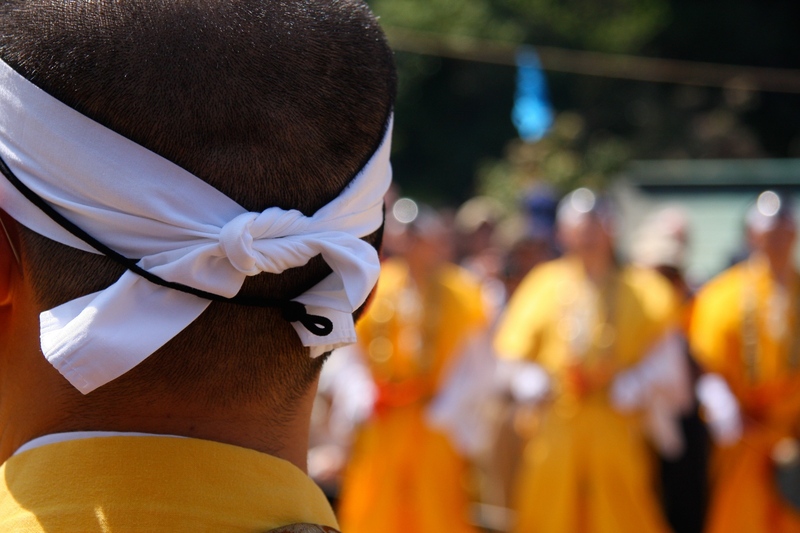 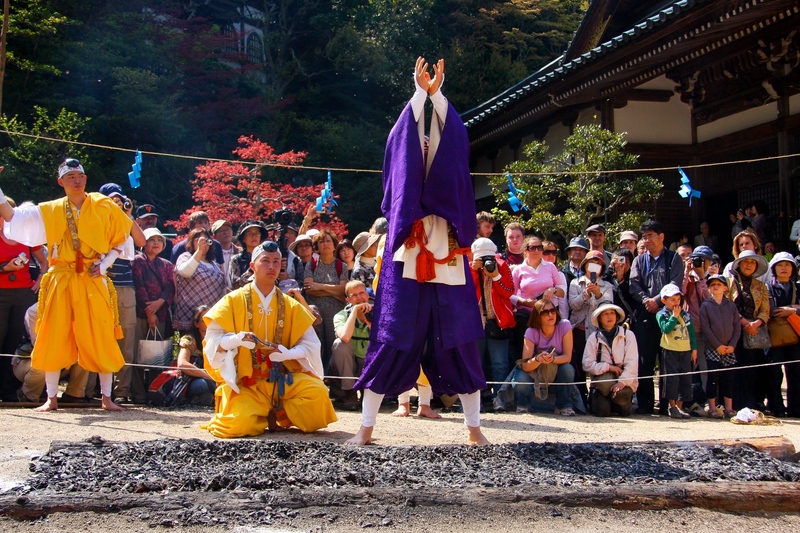 These photos capture the impressive bi-annual fire walking ritual (hi-watari-shiki) in the forecourt of Daigan-ji Temple on Miyajima island, Hiroshima. 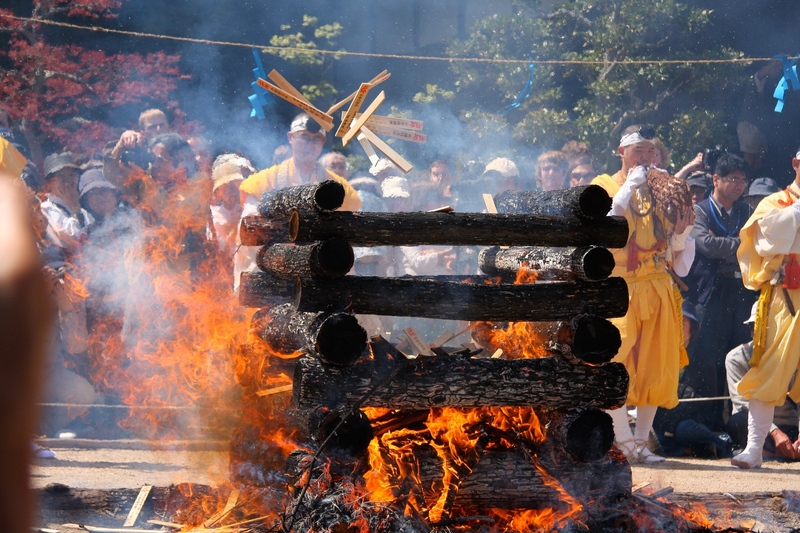 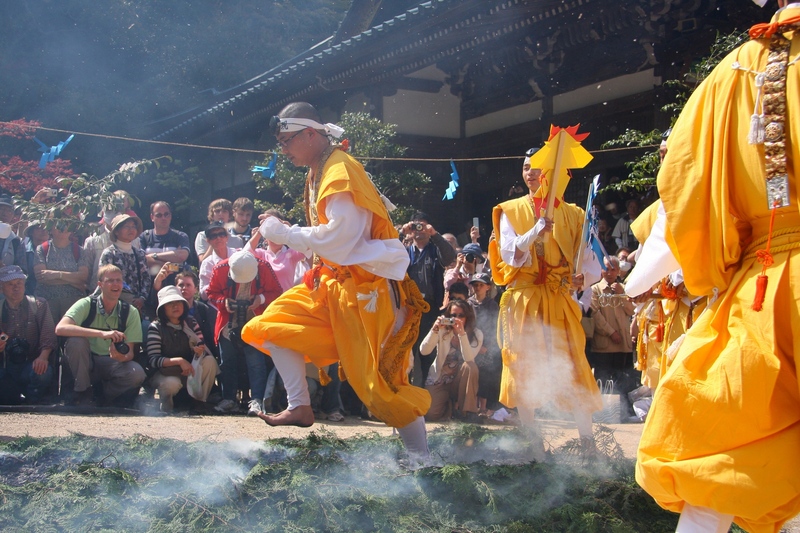 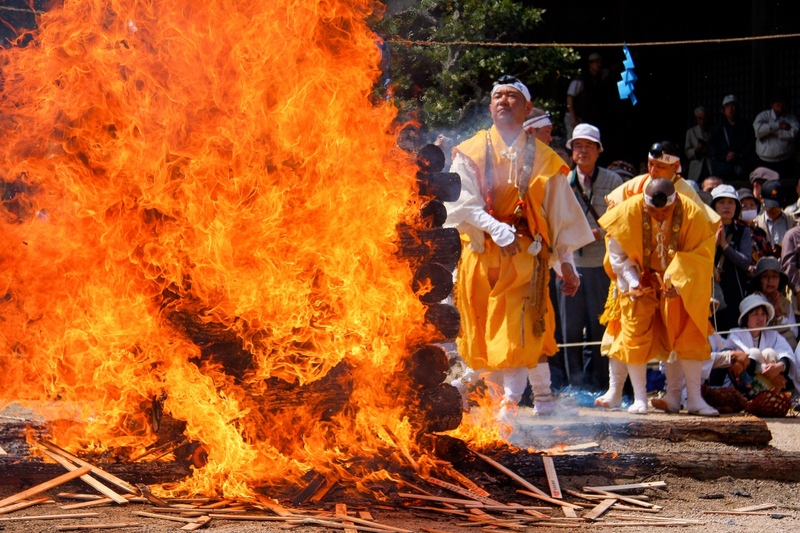 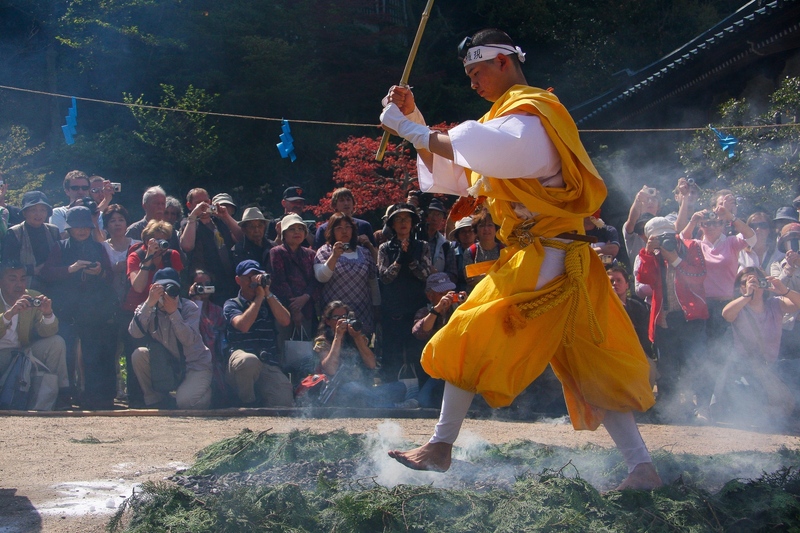 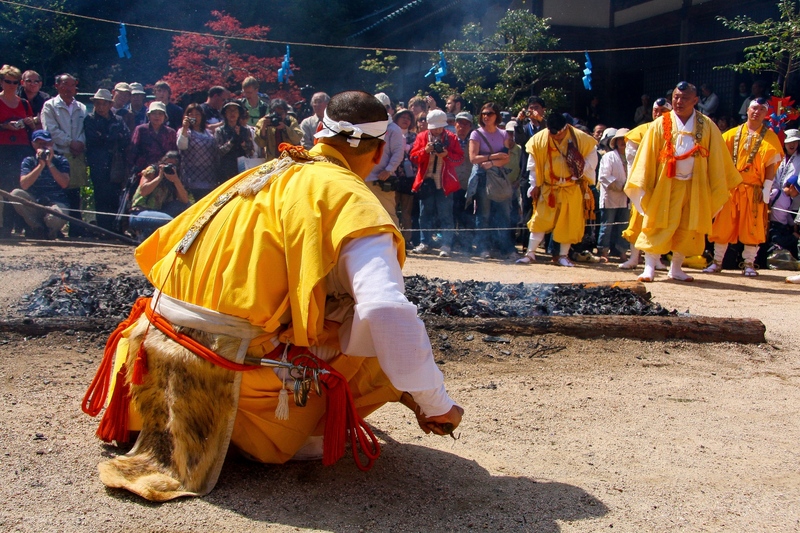 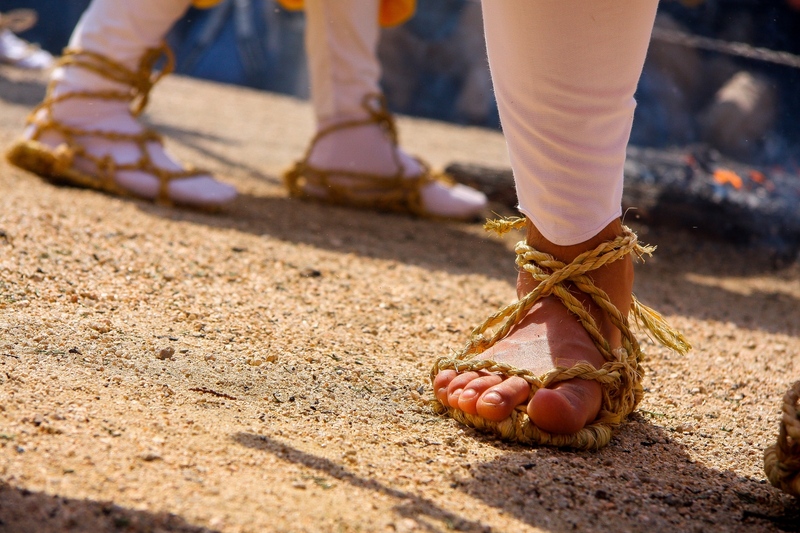 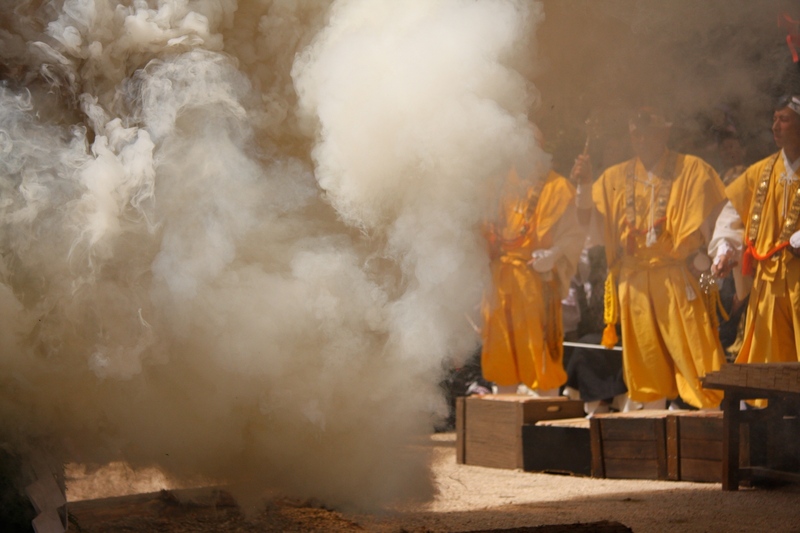 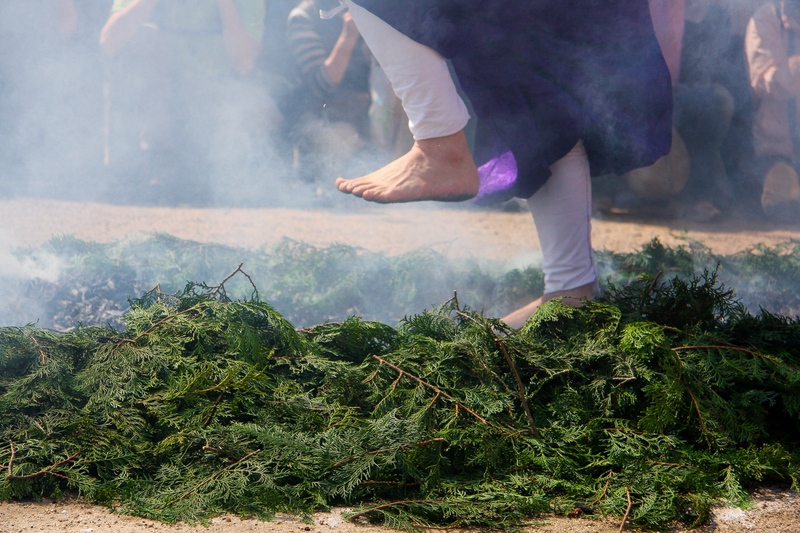 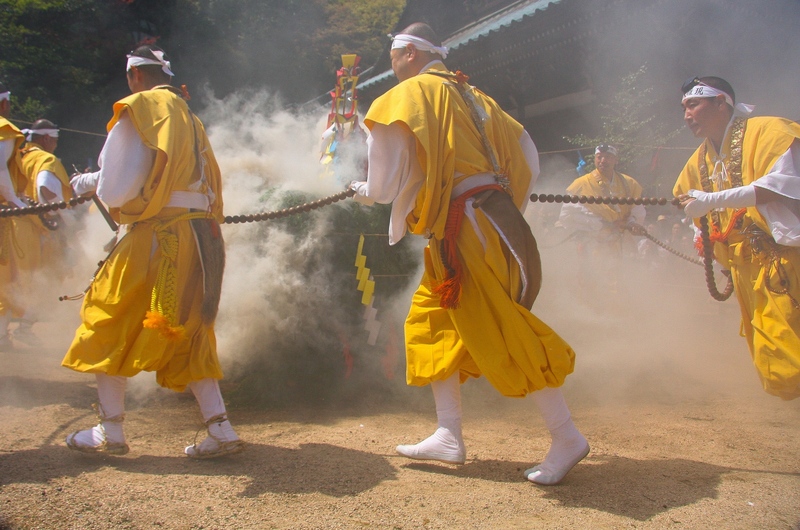 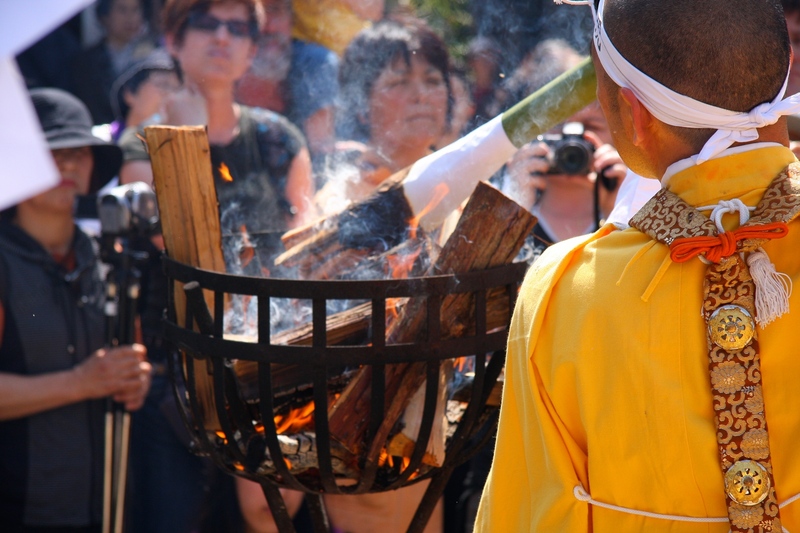 The fire walking ritual is goma - the burning of cedar sticks while chanting sutras, believed to purify and ward off evil spirits - conducted in the open-air. 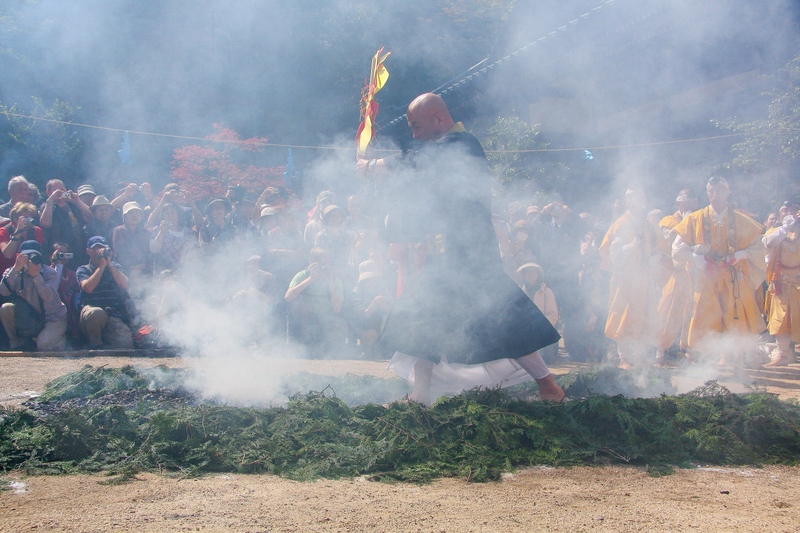 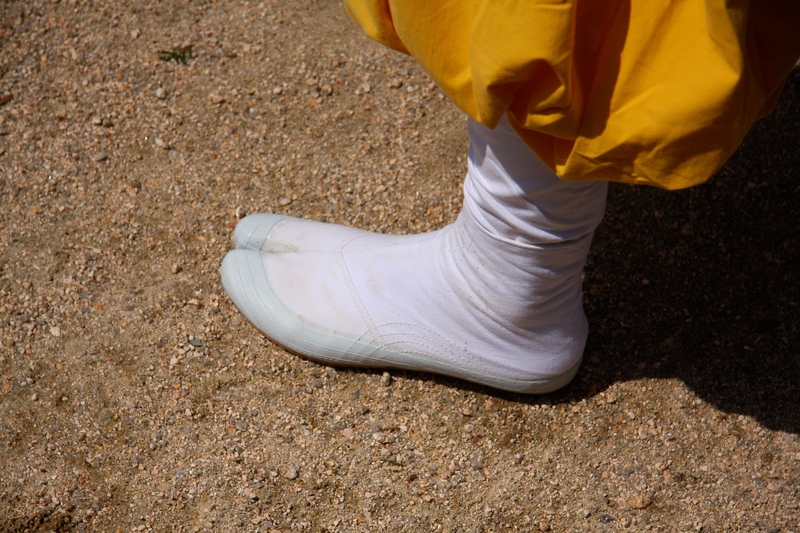 Priests in the temple walk across the burning hot coals, followed by members of the public, while being constantly urged to walk off as quickly (and as faraway) from the exit as possible afterwards to avoid a queue developing on top of the coals themseleves. 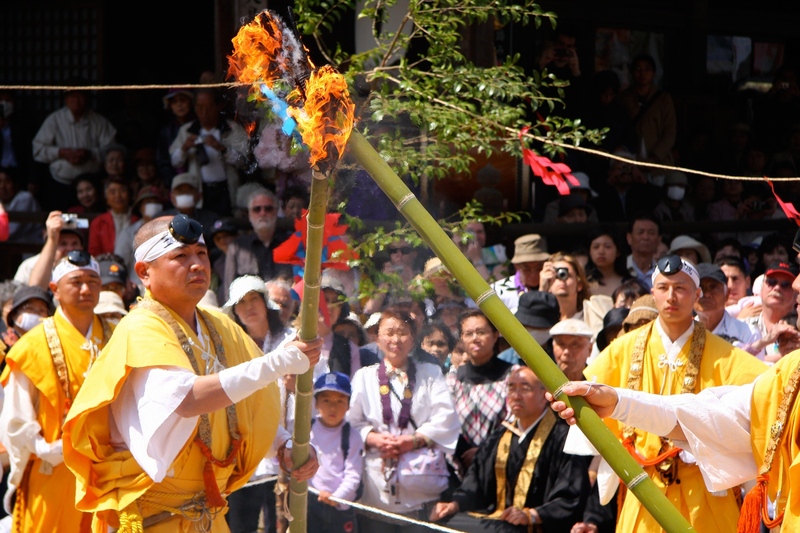 Devotees pray for, amongst other things, eternal peace, happiness for all people and plentiful harvests. 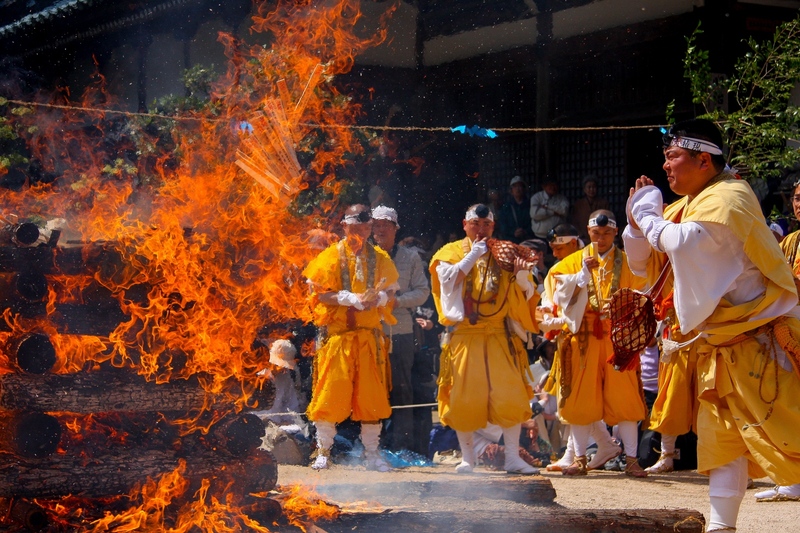 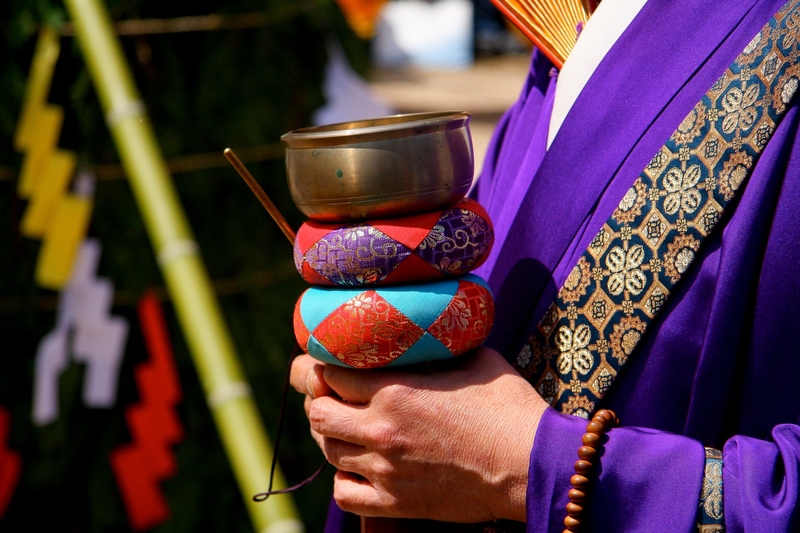 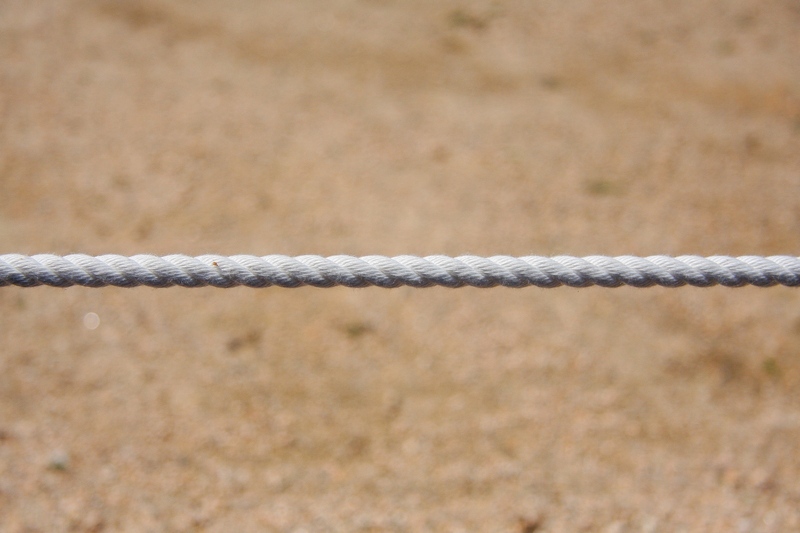 People also believe the ritual is effective in getting rid of bad luck and bringing good luck. 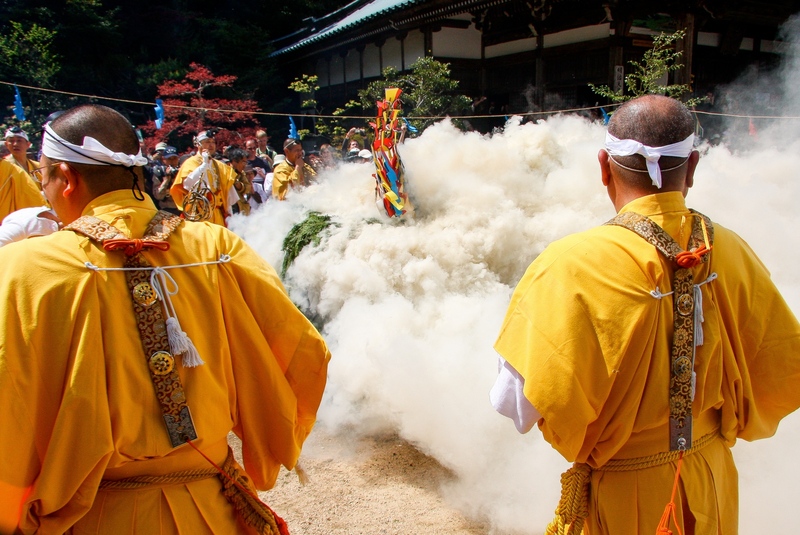 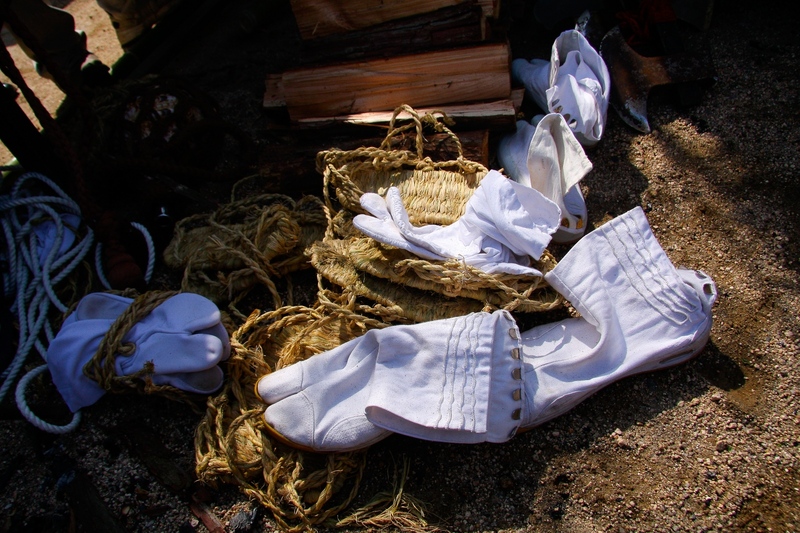 The heat and smoke which the cedar branches generated has to be felt to believed, and the intial inferno is fuelled by burning of nadegi 'wish' tablets written by temple vistors and shamoji rice paddles, thrown on in large handfuls by attendant priests.